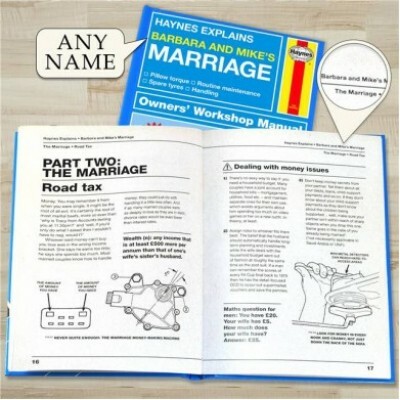 The perfect wedding, engagement or anniversary gift! 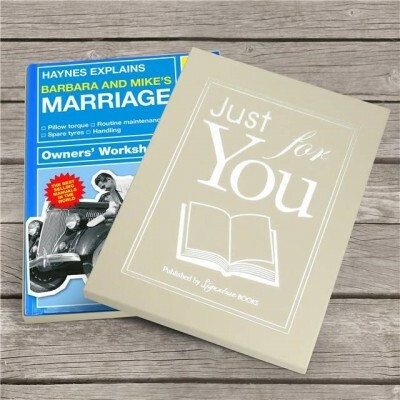 This manual is personalised throughout with both names of the couple at the top of each page and can include a message from you (cheeky or otherwise) on the opening page. 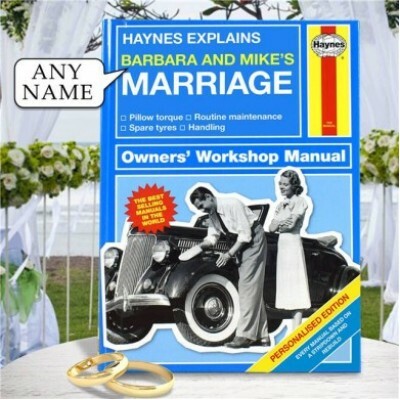 The book even includes pre-wedding advice such as stag/hen night dos and don’ts, such as ‘don’t go too far. Shave nothing that won’t grow back, apply no tattoos that can’t be easily removed, inflict no scars that won’t fade. Follow these tips and you’ll be a bickering couple well into your dotage. Presented in a cream gift box.